This rivers begins in the confluence of the Rivers Filo Hua Hum and Meliquina. At first you Hill find heavy water big boulders, acting as a mountain river running agresive down the canion. The fishing in this waters is mainly towards the shores were the big browns hang out, you have to be fast and right on the target, everything is moving fast and you don’t want to miss a spot, specially during the run off the moment of the high water in the Caleufu. 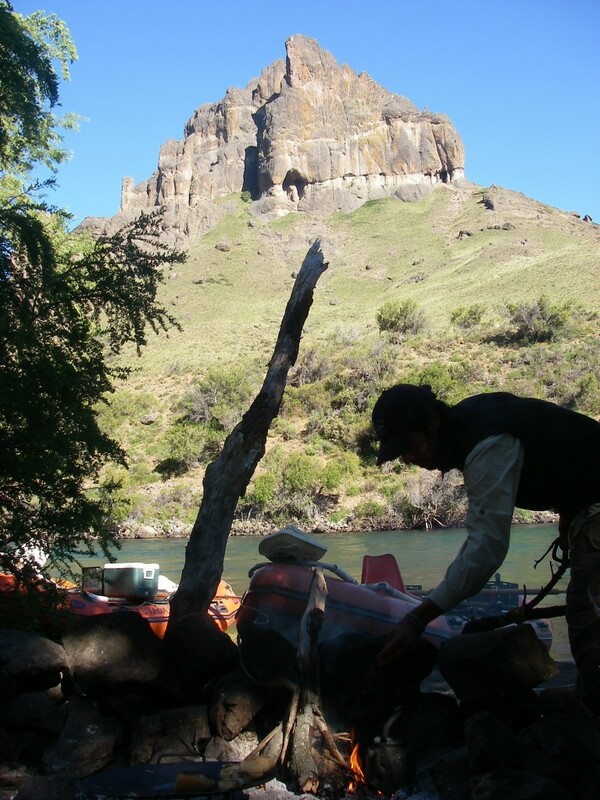 Once you start getting into the middle section of the river the water slows down more and also adquires better shape, runs, pools, pockets alauds to fish it a bit differently. There are more fish spread out trough the all river and delicate techniques take place. In the lower water the rivers braids out eaven more, forming lots of islands, side channels, riffles, runs. This sections gets easily affected for the big water during the spring, and later on the summer you will find new channels were many times trout get trapted by natural causes, look out for them. 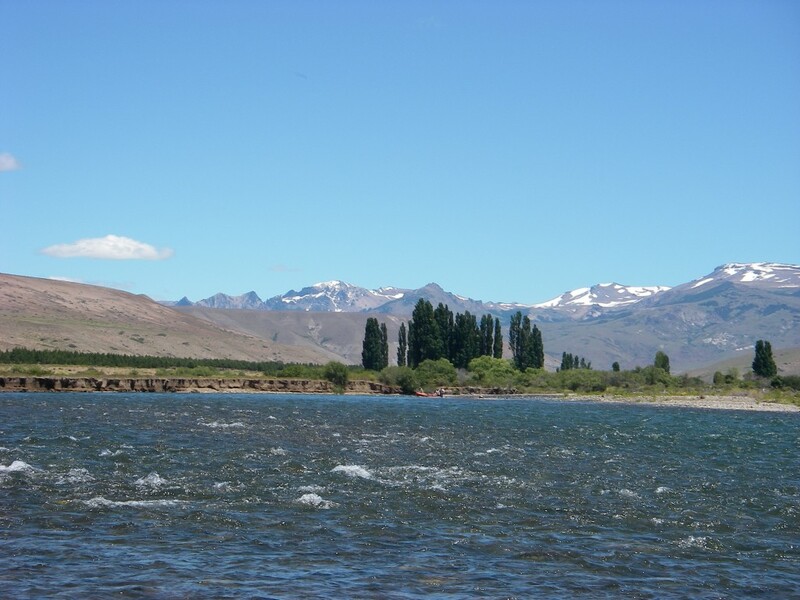 The Caleufu is a great river to fish, specially at the first months of the season were floating it is one of the best options, this can take 1 or 2 camping nights. 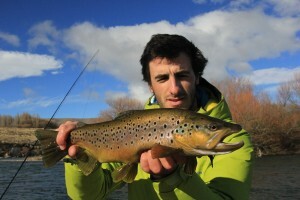 It is well known for the quantity and cuality of its brown trout, they usually take big and heavy flies. The surface activity increases in the way you go further down the river. At the end of the summer and beginnings of fall, minows of pejerrey, trout and puyen start coming out of the artificial lake were the Caleufu dumps into. This schools of minows provocs a frenesi in the rainbows and browns chasing them up and down the river.